This is a first for me -- I'm currently writing this on an airplane! I was in Alaska for the last week and now I'm en route back home to New Jersey. I just wrapped up this book a few minutes ago and thought, with 3 hours of travel ahead of me, it's the perfect opportunity to jump right into my review! 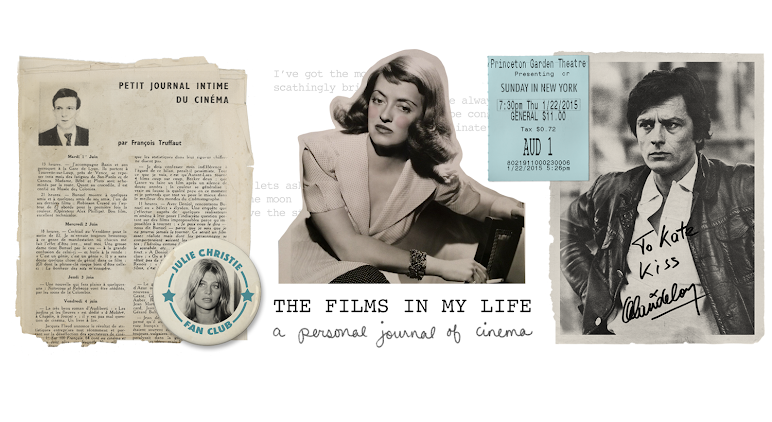 For my fifth book in Raquel's Summer Reading Classic Film Book Challenge I read "The Films in My Life," a collection of reviews by Francois Truffaut. I know, I know, this has been a very Truffaut-heavy reading challenge for me, lol! But what can I say, I love the man to pieces! And this book just solidified how much I adore his writing. It's so personal and passionate. I loved Andre Bazin's reviews in The Cinema of Cruelty, but nobody can top Truffaut, in my opinion, when it comes to writing about movies in a way that fully expresses just how much the author is head over heels in love with cinema. 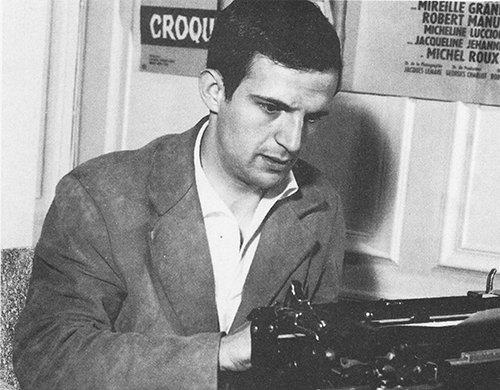 Something dawned on me as I was reading this book -- and it might explain just why I find his writing so relatable, heartfelt and energetic -- Francois Truffaut was the first film blogger. Stay with me here. His writings are often informal, offering apologies to his audience when he quotes himself or feels that he's reached the end of a review without fully expressing how much he loved the movie he was writing about. In one review, about ten paragraphs in, he calls attention to something that he left out of a plot synopsis earlier in the review. He didn't go back and edit it, he just slips it into the middle of the review as if he's engaging in a casual conversation with his reader. "Oh, by the way..." It feels so familiar, like he's a good friend -- or a fellow movie blogger -- who is so excited about relaying his feelings about the film that he can't keep it together. But that's not to say that his writing is disjointed or scattered. It's incredibly well-organized, often precise and astute on a level that doesn't even seem possible. And it extends so far beyond summarizing plots, picking up on symbols, and trying to decipher the filmmaker's intentions. He does all that and more. What Truffaut manages to capture in his reviews, something I usually find lacking in professional critique, is the magic of cinema. The FEELING of enjoying a movie. He manages to describe the indescribable, the emotional state of being connected to the story unfolding in front of your eyes. I also can't say enough how much I love how often he tosses around words like "favorite," "love," "genius" ... he wasn't afraid to exaggerate, he was perfectly comfortable spending an entire review just gushing about how much he loved the director, or how a film actually moved him to tears. His writing is so beautifully personal. For the most part he chose to include positive reviews in this collection, so obviously "beautifully personal" wouldn't actually apply to all of his writing. "Painfully personal" would be more appropriate for the barbed reviews he was known for in his early days at Cahiers du Cinema! 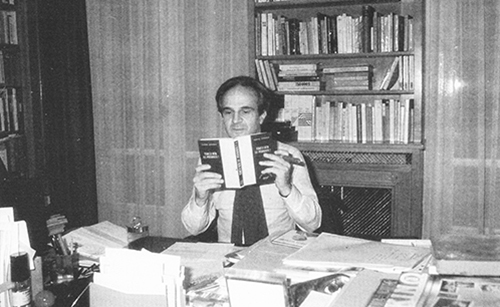 Truffaut edited this collection himself in the late 1970's (he put off his autobiography to work on this instead -- a fact I find absolutely tragic, since he passed away before ever finishing the other book.) but I hope that someone, at some point, puts together a complete collection of all of his writings. I don't care if it's the size of the encyclopedia, I'd want to read it over and over and over. Obviously I need to include some of my favorite passages from the book. I singled these out because I found them either sly, beautiful, funny, or because they reflected my particular views on film in a way that I could never express with words. Or just because they reflect his sweet heart and gentle way of communicating how magical it is to love movies. "From morning to night, on American television, there is murder, brutality, suspense, espionage, guns, blood. None of these gross and manipulative productions approaches a fraction of the beauty of a film by the maker of Psycho, but it is the same material, and so I can understand in that violent atmosphere what a breath of fresh air an Italian comedy, a French love story, a Czechoslovak intimist film must be." "An artist always believes that the critics are against him -- and have always been against him -- because his selective memory benignly favors his persecution complex." "Until the day he dies, an artist doubts himself deeply, even while he is being showered with his contemporaries' praise. When he tries to protect himself from attack or indifference, is it his work he defends or treats as if it were a threatened child, or is it himself? Marcel Proust answered it this way: 'I am so convinced that a work is something that, once it has come forth from us, is worth more than we are, that I find it quite natural to sacrifice myself for it as a father would for his child. But this idea must not lead me to address others about what can, unfortunately, only interest me.'" "We saw all the good films, as well as many of the bad ones, because our love for cinema was like the explorer's thirst which moves him to drink even contaminated water." "L'Atalante grasps the essence of both Godard's A Bout de Soffle and Visconti's White Nights -- two films which can't be compared, which are diametrically opposite, but which represent the best in each genre. Godard accumulates bits of truth and binds them together to make a kind of modern fairy tale, Visconti begins with a modern fairy tale in order to rediscover a universal truth." "I could say that a French film moves forward like a light cart on a windy road while an American film rolls along like a train on its tracks." "When a man makes himself ridiculous by his stubborn insistence on striking a certain pompous pose, whether he is a politician or a megalomanic artist, we say that he has lost sight of the bawling baby he was in his crib and the groaning wreck he will be on his deathbed. It is clear that the cinematographic work of Jean Renoir never loses sight of this naked man, never loses sight of man himself." "On Lubitsch's sound tracks, there are dialogue, sounds, music, and our laughter --- this is essential. Otherwise, there would be no film. The prodigious ellipses in his plots work only because our laughter bridges the scenes. In Lubitsch Swiss cheese, each hole winks." "[Frank Capra] was a navigator who knew how to steer his characters into the deepest dimensions of desperate human situations (I have often wept during the tragic moments of Capra's comedies) before he reestablished a balance and brought off the miracle that let us leave the theater with a renewed confidence in life." On Gentlemen Prefer Blondes: "This isn't literature. It may be dance or poetry. It is certainly cinema." "Frenzy is like the design of crossword puzzle squares imposed on the theme of murder." "In a slick film every touch of boldness is a pleasant surprise, but in a daring film even the slightest compromise is exasperating." "Like all great films, it's more beautiful and more successful each time you see it. You laugh less, but you live it more each time, and you feel increased emotion." On Stalag 17: "Sefton is intelligent; that's why he acts the way he does. For the first time in films the philosophy of the solitary man is elaborated; this film is an apologia for Individualism. (Certainly, the solitary man has been a theme of films, as with Charlie Chaplin and many other comedians. But he has usually been an inept person whose only desire was to fit into society.) Sefton is alone because he wants to be alone." 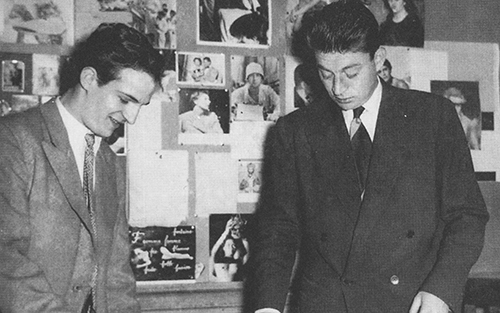 Writing about Claude Autant-Lara (surprisingly in a POSITIVE review of his film, La Traversee de Paris): "Autant-Lara seemed to me like a butcher who insists on trying to make lace." "Everybody knows that it's better to tell a serious story lightly than to relate light matters gravely." "Lola Montes is presented like a box of chocolates given to us as a Christmas present; but when the cover is removed, it comes out as a poem worth an untold fortune." On The Legend of Nayarama: "My God, what a beautiful film!" On Orson Welles & Citizen Kane: "When Everett Sloane, who plays the character of Bernstein in Kane, relates how, one day in 1896, his ferryboat crossed the path of another in Hudson Bay on which there was a young woman in a white dress holding a parasol, and that he'd only seen the girl for a second but he thought of her once a month all his life... ah, well, behind this Chekhovian scene, there was no big director to admire, but a friend to discover, an accomplice to love, a person we felt close to in heart and mind." Again on Citizen Kane: "When I see Kane today, I'm aware that I know it by heart, but in the way you know a recording rather than a movie. I'm not always certain what image comes next as I am about what sound will burst forth, or the very timbre of the next voice that I'm going to hear." "There are movies that are profound and lofty, made without compromise by a few sincere and intelligent artists who would rather disturb than reassure, rather wake up an audience than put it to sleep. When you come out of Alain Resnais' Nuit et Brouillard, you don't feel better, you feel worse. When you come out of White Nights or Touch of Evil, you feel less intelligent than before but gratified anyhow by the poetry and art. These are films that call cinema to order, and make us ashamed to have been so indulgent with cliche-ridden movies made by small talents." "I shall never try to communicate in writing to those who do not feel the physical joy and the physical pain which certain moments of A Bout de Souffle and Vivre sa Vie caused me." "There are films one can admire and yet that do not invite you to follow... why pursue it? These are not the best films. 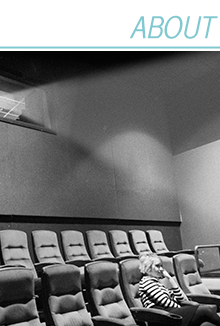 The best films open doors, they support our impression that cinema begins and begins again with them." "They are so alive that in spite of their pessimistic endings they inspire in us an irresistible urge to sing in the rain." "The more like me my film is, the less the public is going to like it. (This realization provokes a variety of reactions ranging from embarrassed denial to reluctant change. If you change your mind, you may come away scarred, or a Sergeant York, a daredevil.)" "To compare our hexagon (the shape of France) to a game of chess, the movies always offered us the point of view of a rook or a bishop, never of the pawns." "I realize that it's presumptuous to write about a film one has seen only three times" (I just found this so ridiculously adorable. I've written reviews (albeit mine aren't nearly as important as his were, lol!) after watching a movie one single time, while working, while distracted by my cat, while eating, while also scrolling through twitter. Perhaps I should take this (again, ADORABLE) quote as a sign that I need to pay a little more attention to movies before I dare write about them. I love this quote so much: "We saw all the good films, as well as many of the bad ones, because our love for cinema was like the explorer's thirst which moves him to drink even contaminated water." This is pretty much every classic film fan. 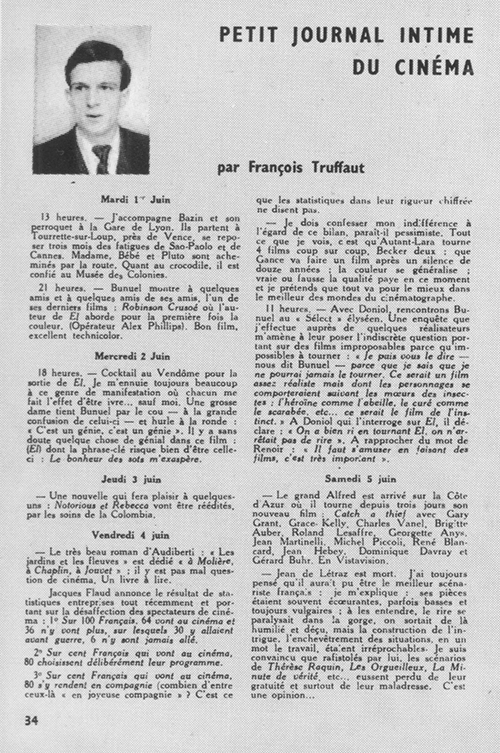 I love that you say Truffaut was the first film blogger. I totally see your point. 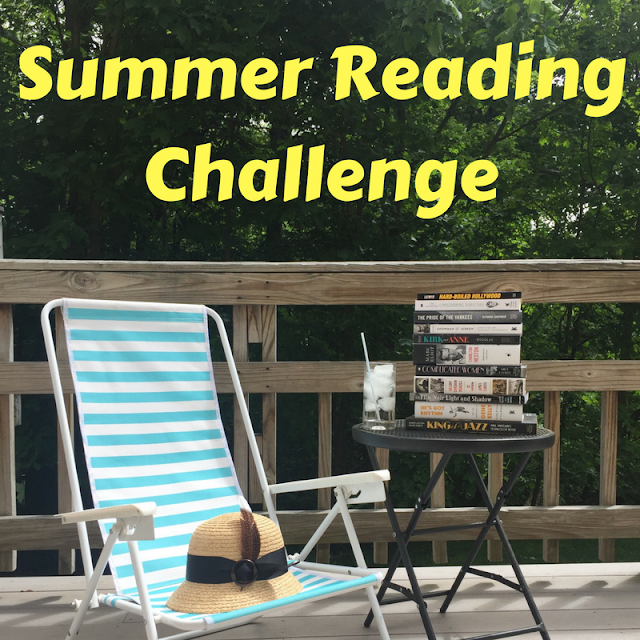 I'm really impressed that with your busy summer that you fit in reading and reviewing 5 books. That's no easy feat. And I love that you wrote this review on an airplane. I've done that before too! I wrote a review recently while at the hospital and the doctor saw me and assumed I was a student. LOL. I guess we're all film students. 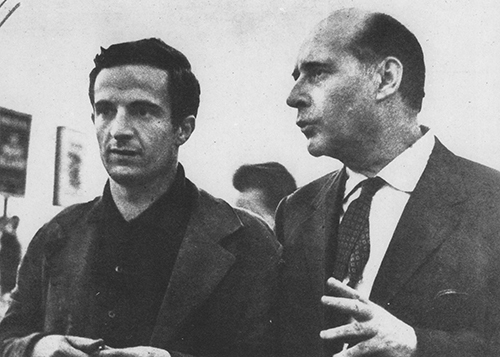 And Truffaut seemed like he was a film student for life even as he became the legendary director he was.